Pick up this powerhouse MacBook Pro with 512GB of storage and an i7 chip from B&H at a massive discount. It’s such a good machine that it’s still a smart buy just a couple of years later. If you’ve been looking to upgrade but aren’t quite ready to face the prices for a 2017 model (which is essentially the same notebook but with some under-the-hood improvements), you can now pick up one of the most powerful versions of the 2016 rig from B&H for an impressive $700 off Apple’s price. 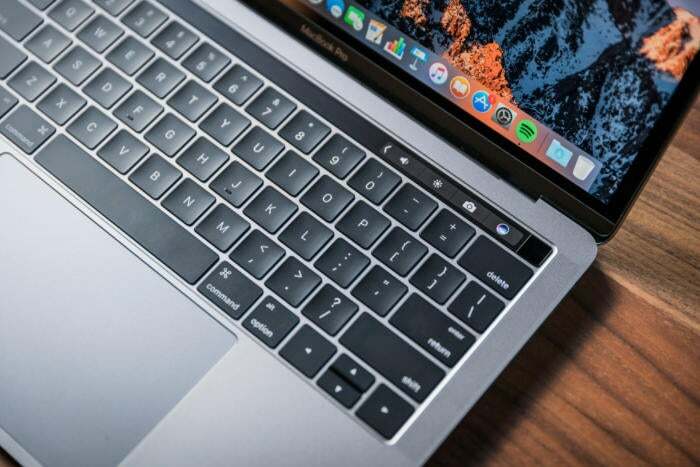 With this deal, you’re getting the 2016 MacBook Pro with Touch Bar in peak form. It’s a bit of a beast, containing an Intel Core i7 chip clocked at 2.6 GHz and 16GB of RAM and 512GB of storage space. If you’re into gaming or video editing, you’ll almost certainly be happy with the AMD Radeon 450 graphics card that powers images on the 15.4-inch Retina display. As we said in our review, this handy device can power not one but two 5K external displays in addition to the 2800x1800 built-in display. And we weren’t kidding about finding the best bits of iOS being on the device. In addition to the Touch Bar that imports iOS favorites such as predictive text, you’ll also find Siri access and a Touch ID fingerprint sensor. The one catch? You’ll have to get it in space gray. It’s also only available for an (unknown) limited time, so you’d be wise to hop on the deal soon.